Come and enjoy unique adventure experiences special to Vermont… all while getting in shape and having fun! Vermont offers beautiful pristine lakes, challenging mountain terrain for hiking and biking, and awesome skateboarding and rock climbing parks. 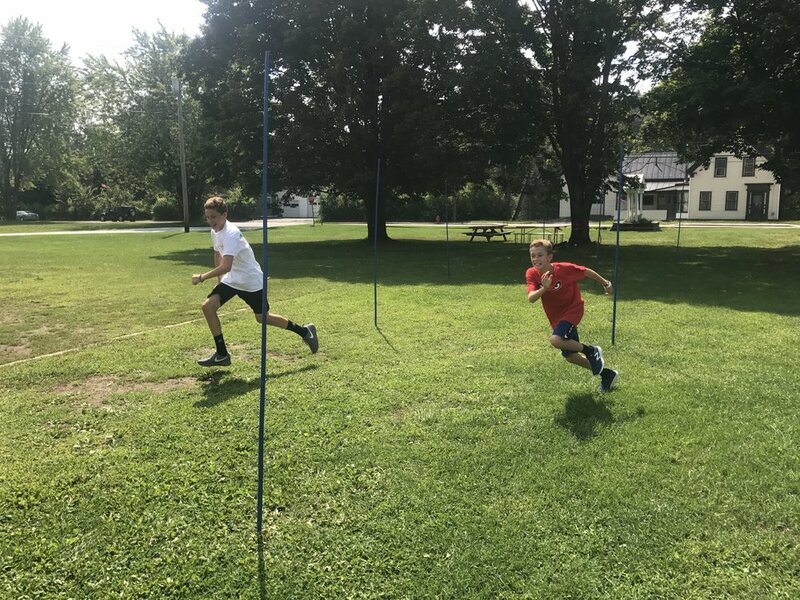 OMS Adventure Sports Camps are focused on specific training for sport performance with morning conditioning sessions followed by afternoon activities including hiking, mountain biking, running, rock climbing, kayaking, paddle boarding, skateboarding, waterskiing, wakeboarding, and swimming. Athletes will also work on fun team building skills and learn strategies to problem solve on Okemo’s ropes course. Finish off the day with a delicious maple creemee! This day camp's schedule runs from 9am-4:30pm. 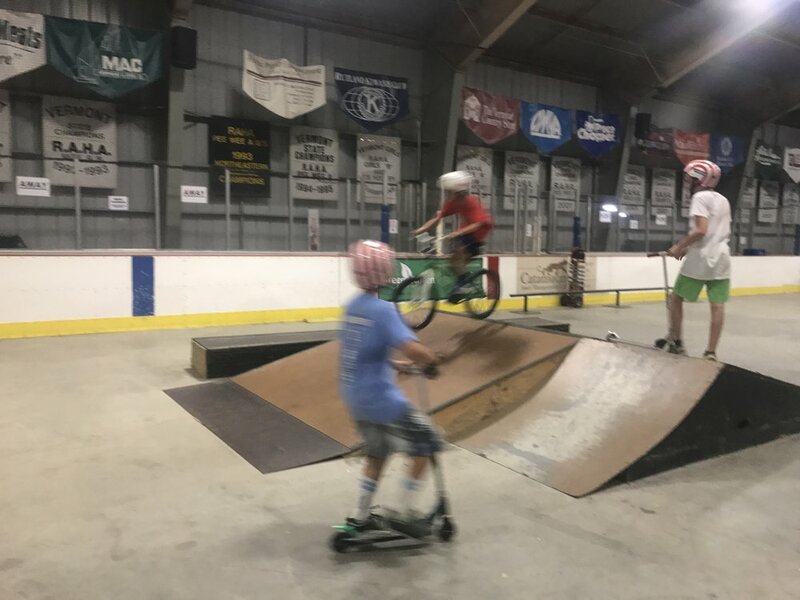 Current OMS athletes are encouraged to attend, but the camp is open to all ages 8-18, including those who may not be training for winter snow sports. The cost for the full week is $525. A 10% discount is offered for campers attending two or more full week sessions. Campers may also opt to attend individual days at a cost of $115 per day. Use the buttons to the right to register your camper today! Registration closes for each session one week prior to its start or when full. Interested in registering for individual days within a session or multiple sessions? "The OMS summer camp is an amazing experience for anyone looking for a fun thing to do over the summer. I have been doing this camp for two years and always come home after camp saying, “Today was incredible!”. My favorite part of camp was when we went rock climbing. The counselors, Jet and Chris, are very positive people. They let us get Maple Creamies twice, as well as, Ben and Jerry’s. We do our morning workout that includes core, stretching, running, or the trampoline. As a whole this is a camp worth going to over and over again." "I loved everything about the camp! We went mountain biking, the skatepark, Buttermilk Falls, tubing. There was something fun & cool to do every day. I started to learn how to unicycle too. I was getting ready for ski season but still having lots of fun with friends." "OMS Summer Conditioning Camp was by far the best camp I have ever been to. First, I’m going to start off by saying that Chris and Jet are some of the nicest people I have ever met. It is the most fun camp, because there is a perfect balance between working out and getting fit and doing the best activities I have done. My favorites were indoor rock climbing, water skiing, kayaking, the skate park, and gymnastics. (There are tons more fun activities!)"